 Senators to Obama: No More Imaging Cuts - ONRAD, Inc.
imagingBiz | A bipartisan group of senators, among them John Kerry (D-MA), Herb Kohl (D-WI). and Lamar Alexander (R-TN), yesterday sent a letter to the Obama Administration protesting the inclusion of any diagnostic imaging cuts in legislation to raise the debt ceiling. The American College of Radiology (ACR) and the ACR-co-founded Access to Medical Imaging Coalition (AMIC) worked to gather signatures for the letter, which emphasizes how cuts to imaging can stifle medical innovation, create job loss, and negatively impact patient care. Instead of initiating further imaging cuts, the senators argue, the Administration should back appropriateness criteria based clinical decision support systems to help ensure that doctors have the latest clinical guidelines at their fingertips and that patients receive quality appropriate care. The ACR, through and with AMIC, continues to educate members of Congress, the Administration, and government agencies regarding the value and life-saving effects of appropriate medical imaging use.